Singapore-based managed care provider Fullerton Health is eyeing the next big thing in technology and healthcare to improve care and service for patients. With over 500 healthcare facilities and an extensive network of healthcare providers across eight markets in Asia, it has reason to seek a more pro-active approach to healthcare. “Healthcare and health tech organizations are beginning to see the need to shift towards a more pro-active approach (rather than just reactive approach) in caring for patients and individuals,” said Dr. Samuel Chong, Acting CEO of Fullerton Systems & Services and Group CTO at Fullerton Health, in an email interview with FutureIoT. With this shift in approach, he sees the internet of things (IoT) playing an ever more critical role. “IoT will be able to provide key health-related data of an individual in a real-time basis,” he said. Dr. Chong disclosed that Fullerton Health is focusing on an area of healthcare where patients are required to be monitored or cared for, on a constant or daily basis. And this will mainly be in the field of chronic care management. “Pairing with IoT providing real-time health information, Fullerton Health is able to provide a holistic program for chronic disease management,” he said. In as much as the benefits of IoT is in its ability to make data available and accessible at real-time need, the company has since been delivering digital innovations through its Fullerton Systems & Services (FSS) Digital Healthcare Platform. Built on Software AG technology, the platform helps support applications such as remote monitoring and medical device integration. Anneliese Schulz, Vice President of Software AG Asia, said that Fullerton’s partnership with Fullerton in the FSS Digital Healthcare Platform is around optimizing the full potential of IoT through real-time, secure, digital and connected IoT solutions that help facilitate better patient outcomes and enable real-time collaboration between doctors, clinicians, and patients. “The FSS Digital Healthcare Platform has also been leveraging Software AG’s Terracotta, which provides multiple users real-time access to massive data sets on Fullerton Health’s vast app Ecosystem,” she added. Dr. Chong shared that over at Fullerton Health, innovations often begin with a pilot in Singapore. “Only with the success of the pilot program, Fullerton Health will have the ability to scale such projects across the region, due to the luxury of the reach of the organization across the region,” he said. With the ability to scale to project across the region, Fullerton Health will be able to obtain economy of scale and ultimately resulting in costing savings for such projects. “Majority of the time, patients do not have the habit of constantly ensuring that they have their vitals or health data monitored and the challenge for the project team is to ensure such adherence are maintained (i.e. following up with patients constantly as a reminder),” he said. The Fullerton CEO affirmed what is also true in other industries: most of the time, challenges with regards to new concepts and new technologies will be mainly due to the resistance to adoption. Hence, he said having to drive change management to various stakeholders (both clinicians and patients) are one of the key hurdles in overcoming during the initial stages of implementation of IoT projects. 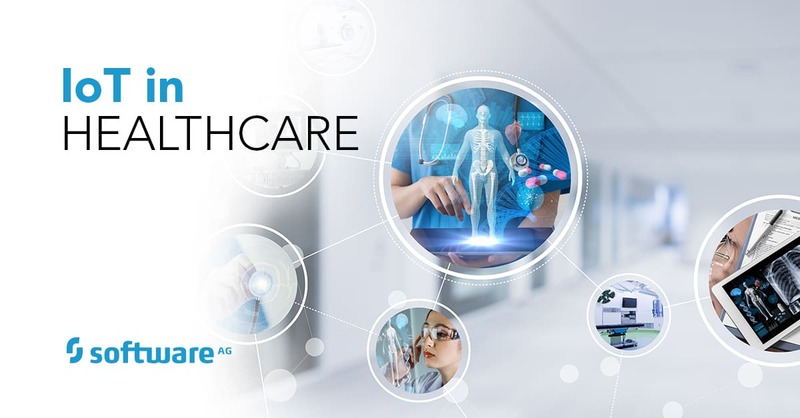 Software AG is bullish on the continued growth of IoT use in healthcare across markets, as organizations realize the need for cutting-edge technologies. “Healthcare institutions today are increasingly adopting data-driven IoT applications, as they focus on technology offering diverse remote monitoring, healthcare delivery, and in-home diagnostics capabilities,” Schulz said. Citing a study from Inkwood Research, she said the IoT healthcare market in the Asia-Pacific region is seeing a 30.29 percent compound annual growth rate (CAGR) within the 2018-2026 period. This, she said, is driven by rising internet penetration, increasing demand for a quality healthcare treatment regimen, and high cloud computing adoption. “Smart healthcare systems today, for instance, incorporate round-the-clock real-time data streaming, medication reminders, and real-time medical diagnosis, all of which reduce the need for hospital visits,” she added. However, other industries are seeing the potential as well. “In Singapore, for instance, there have been smart initiatives geared towards improving e-commerce, cybersecurity, and e-government, with the Singaporean government, prominently announcing in 2017 investments of up to S$2.4billion in government tenders connected to the ‘Smart Nation’ initiative,” Schulz added.